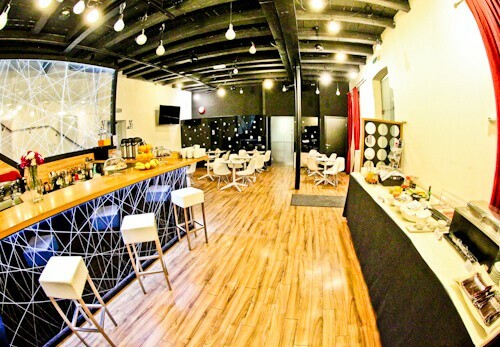 You’ll find the best room rates on the Art Hotel Like website. To view the latest events and pictures check the Facebook and Instagram feeds. Although located in a historic building, the interior is anything but historic! You have the experience of staying in a historic building but with modern facilities. The check in is done at the bar area. This tempts you to buy a coffee or a beer whilst asking reception about tips on what to do in Zagreb. The staff are very friendly and speak perfect English. They’ll be very happy to give you a city map and explain how to get to the points of interest. The famous Tkalciceva Street which is lined with bars and restaurants is a short walk away. 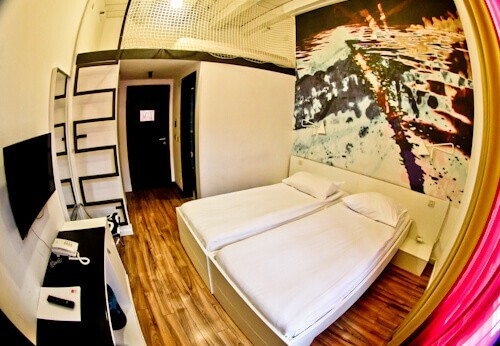 Each room has an artsy design and as you’d imagine, art is an important part of Art Hotel Like. There are several different types of rooms available. If you’re traveling to Zagreb as a family you can choose a family room. I was a solo traveler visiting Zagreb so the standard double room suited me (above). Additionally, this room would also suit a couple visiting Zagreb. You could also upgrade to a double room with a balcony, this would give you a real feel for the action of the city center. The bathroom offers a rainfall shower. 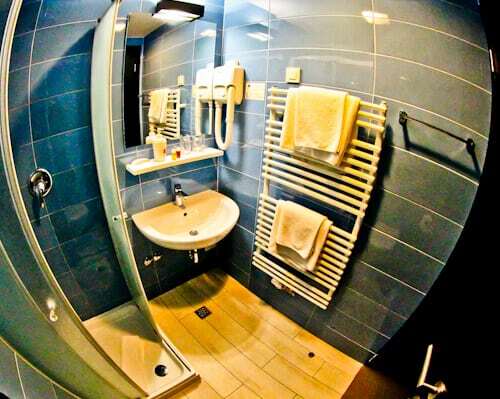 In addition you’ll find the necessary amenities to take a shower. After you shower you can dry off with a warm towel from the towel heater. Importantly each bathroom is equipped with a hairdryer. The complimentary buffet breakfast is located adjacent to the bar. In fact you help yourself to coffee, tea and juice from the bar. The buffet breakfast includes fresh eggs, cold meats, hot meats, fresh fruit, fresh breads and sweet pastries. 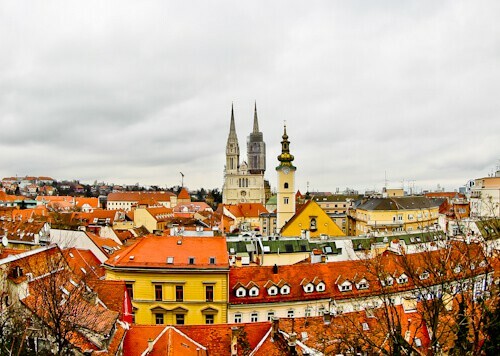 You will certainly gain enough energy to explore Zagreb on foot. The hotel really benefits those who want to explore Zagreb on foot. The tallest building in Zagreb, the Zagreb Cathedral is a popular location in Zagreb. The hotel is a stones throw from this cathedral. 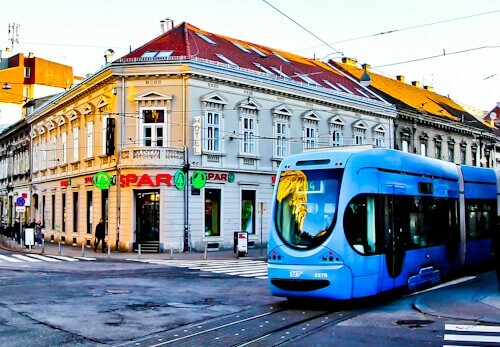 In addition the central square of Zagreb, Ban Jelacic Square is nearby. A beautiful walk you can take whilst in Zagreb is the Lenuci Horseshoe walk. You’ll see historic buildings surrounding green areas of the city. Enjoy the Art Hotel Like and enjoy Zagreb! This is definitely the hotel I’d choose for Zagreb. 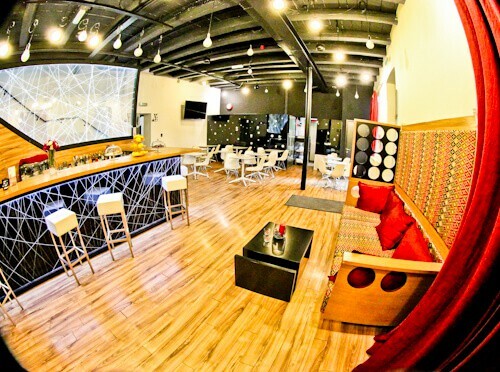 The bar area and interior is amazing. It’s even more incredible when you consider this is a historic building! Location looks perfect! Hi Simon, I agree, when you arrive inside it’s hard to believe you’re in a historic building!